The air is still; the sky is dark green in color. It’s a very warm, humid Sunday morning. Large hail starts to fall, and in the distance there is seen a low-lying rotating cloud. Its path turns dangerous as the sirens go off, indicating to take cover. A roar, similar to a freight train signals a warning to all, an EF5 tornado has arrived. The funnel moves along, destroying almost everything in its path. On 11/17/13, this powerful tornado traveled quickly through Tazewell County. Pekin, East Peoria, and Washington, Illinois, received the most damage. Over a thousand homes were totally swept away in seconds. True Masons, are taught at the beginning of their values to look after their Masonic Brothers and Widows. As soon as it was the calm after the storm, the Master of Empire Lodge called his members to see if everyone was safe. We were safe, but a few members of Empire Lodge were not so lucky. The Master of the lodge immediately went to my parent’s home and boarded up a window that was broken, and helped another member just a few houses away. A couple of brothers lost their homes as well. 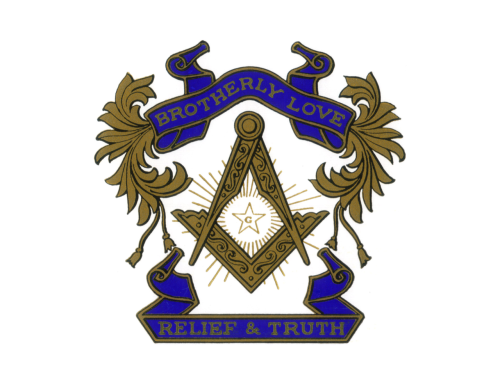 Within days, the Masonic brothers of the great state of Illinois banded together and gathered clothes, water, non perishable food, and supplies, then headed south to Tazewell County. The first stop was Taylor Lodge #98 in Washington, Illinois, the most damaged area. The lodge opened up their doors for the drop off center. The Most Worshipful Grand Master of Illinois, Barry Weer came to Taylor Lodge and presented checks to six Masonic families who lost their homes. The semi truck dropped off supplies, which were then distributed. The next day, another semi came and dropped off supplies at Empire Lodge #126 in Pekin, Illinois. Brothers, Sisters, Job’s Daughters, DeMolay, and Rainbow all banded together to help one another. It will take years before these cities are back to normal, but men of character from every walk of life are all working together to rebuild a better world for those whose lives were shattered on that warm tragic day in November 2013; a day that Tazewell County citizens will never forget. Judy Gordon is very active in Job's Daughters. She's the Past Honored Queen, and Past Bethel Guardian of Bethel No. 55, Pekin (IL). She received the Cryptic Masons Masonic Youth Leadership Award along with her husband, Ray Gordon in July 2007. She's also Past Matron of the Morton Chapter No. 974 (IL) of the Order of the Eastern Star and Historian of the Emblem Club No. 424 of Pekin (IL). Judy is the recipient of the Degree of Royal Purple (2012) and elected to the Grand Line Illinois Job's Daughters (2015-16). Boaz joined the family in September 2013 and grandmother of 3 wonderful grandsons. Masonic Rings: Points In Or Points Out?